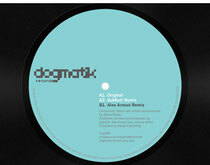 This new five track EP from London’s Dogmatik imprint delivers five distinct flavours of modern house music from accomplished producers Mark E, Dusky, Stojche, BUBBA and Dimi Wilson. Having helped shape the career of Maya Jane Coles in its early years, Dogmatik is a label that has seen growing attention of late and the imprint’s reputation is far from shabby for good reason. ‘Various Artists Part One’ takes in five tracks, each taking in a slightly different view of the increasingly fractured but never dull genre we call house. Mark E provides urgent, slo-mo swing with ‘Horns Of The West’ while the pristine elastic funk of Dusky’s ‘Tyto Alba’ provides instant contrast. Dogmatik regular and Argumento/Tangible Assests boss and undoubted star of the future, Stojche, delivers a moody, expansive dub-houser in ‘Distance’, BUBBA switches on the lights for ‘Keep L.O.V.E’ and Dimi Wilson closes the EP with some bumping, shuffled drum/organ combos a la ‘Oloo’. Label boss, Alex Arnout joins Gavin Herlihy, Maya Jane Coles and more on Part Two of this package but for now, Part One should more than suffice.